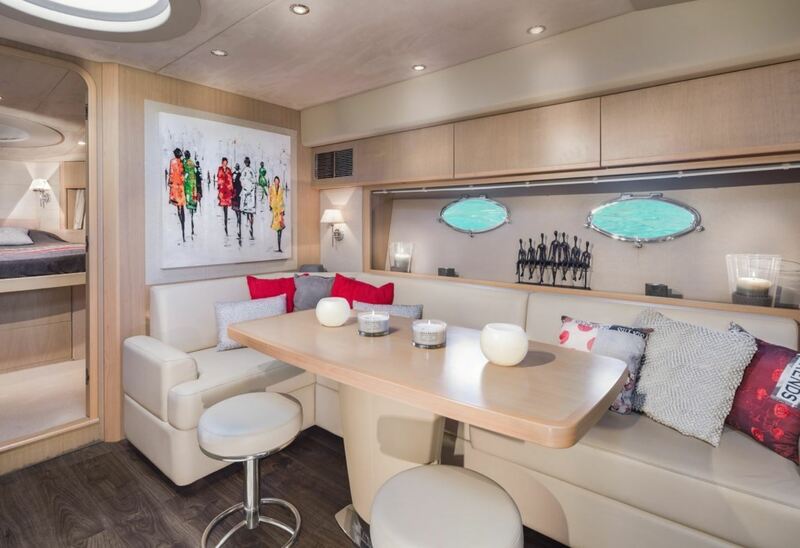 The interior is full of natural light and luxuriously finished to the last detail. 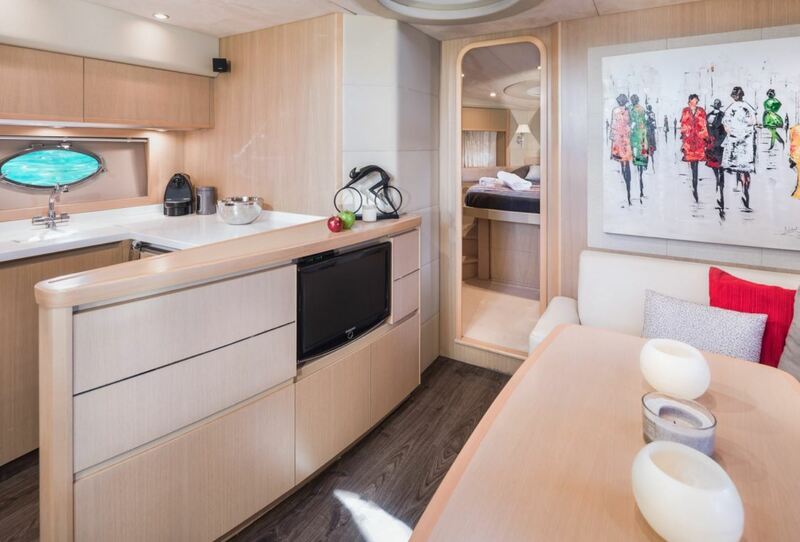 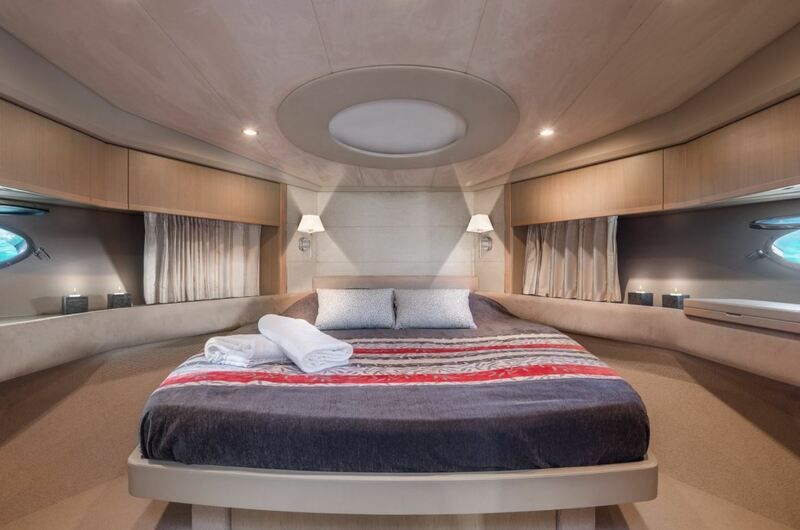 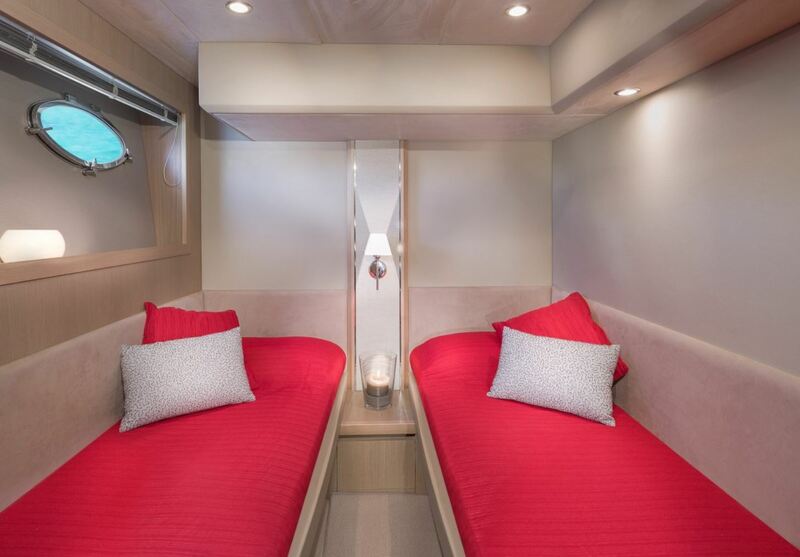 It has 4 guest cabins (1 Master Cabin + 1 VIP + 1 Twin + 1 Bunks) that lodge 8 guests overnight. 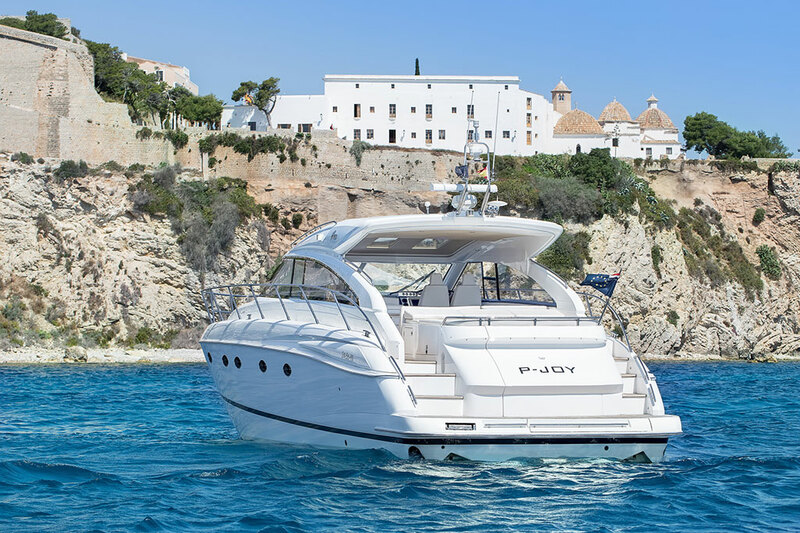 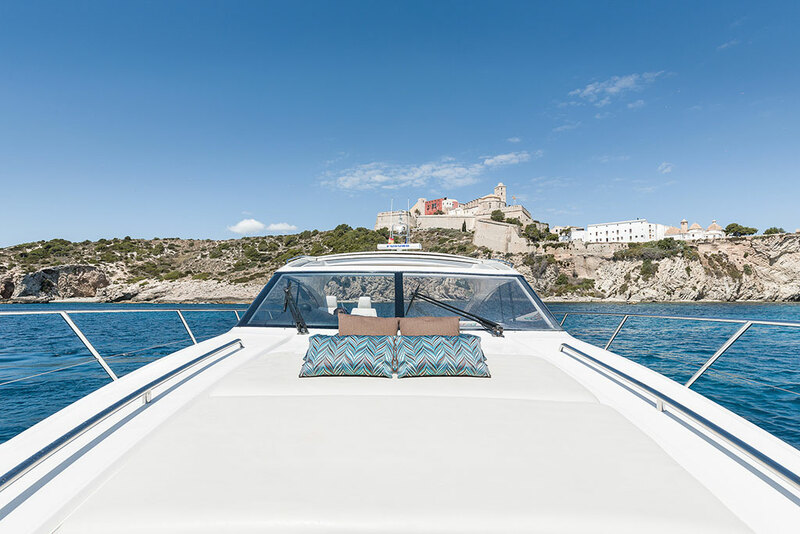 Princess V53 is available for charter in Ibiza and the rest of the Balearic Islands. 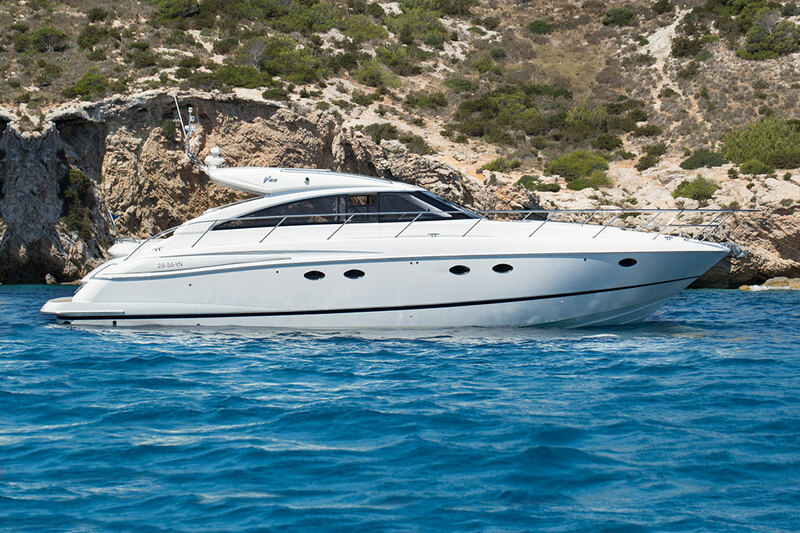 Ideal yacht for one day rentals in Ibiza and Formentera. 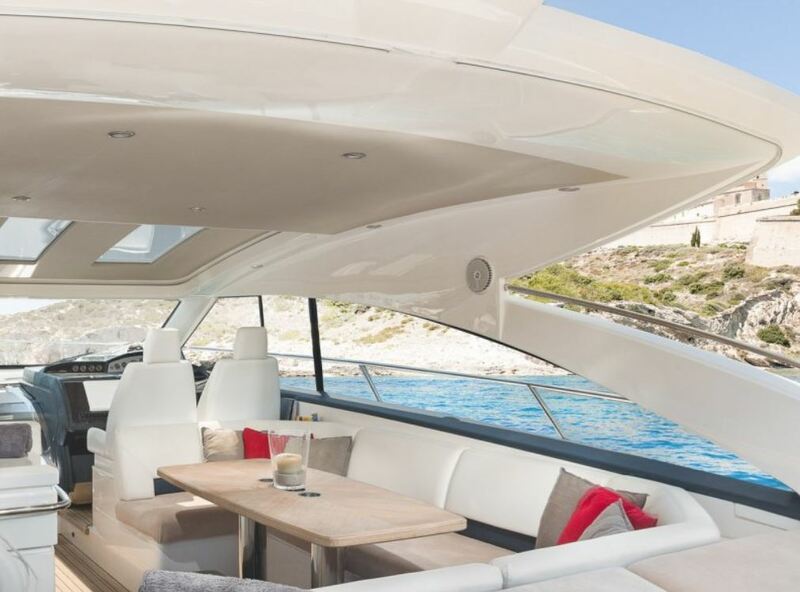 The deck offers ample space to relax in the sun in the solarium area, a bar and a small room protected from the sun.